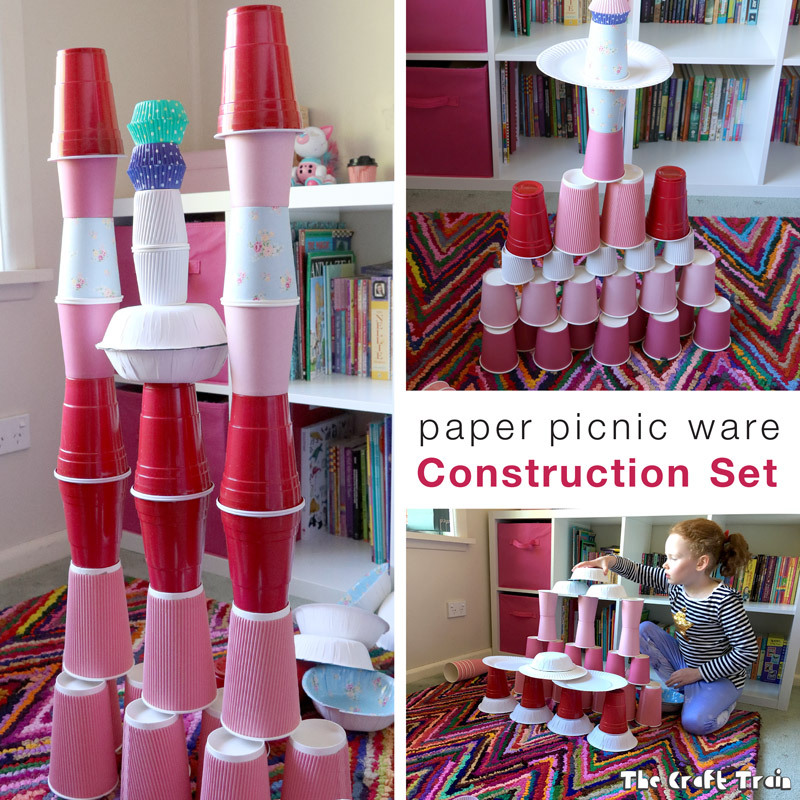 Heres a simple idea for an DIY paper cup and plate construction kit. 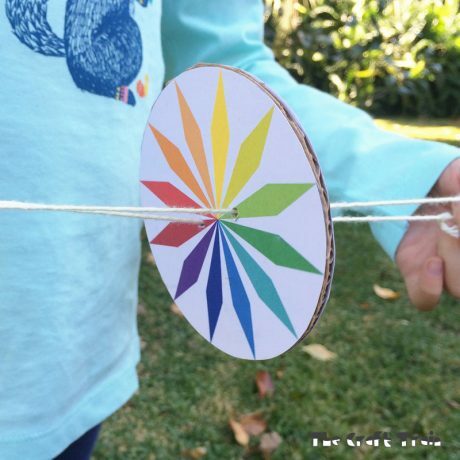 It’s so versatile and kids will love using it to bulid towers, castles, cities and whatever else their imaginations can come up with. Kids have the BEST ideas, don’t you think? I once put together a special craft box for my girls. 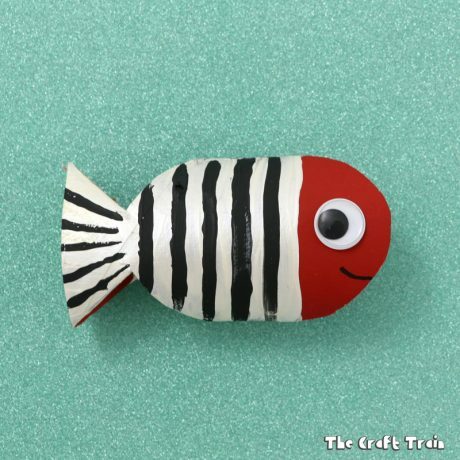 We called it the no rules craft box. It was in the style of the popular inventors boxes I’d seen on Pinterest, and it was secretly aimed at giving them their own creative materials to go wild with so they might stop nicking all of mine. It didn’t really work as planned, but then sometimes when things don’t go to plan they turn out even better. In their craft box, which was a large plastic tub, I put a bunch of stuff I didn’t really need anymore. 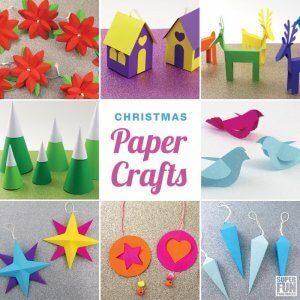 There were paper plates left over from Christmas and lots of paper cups which I’d purchased for craft projects in all different sizes. 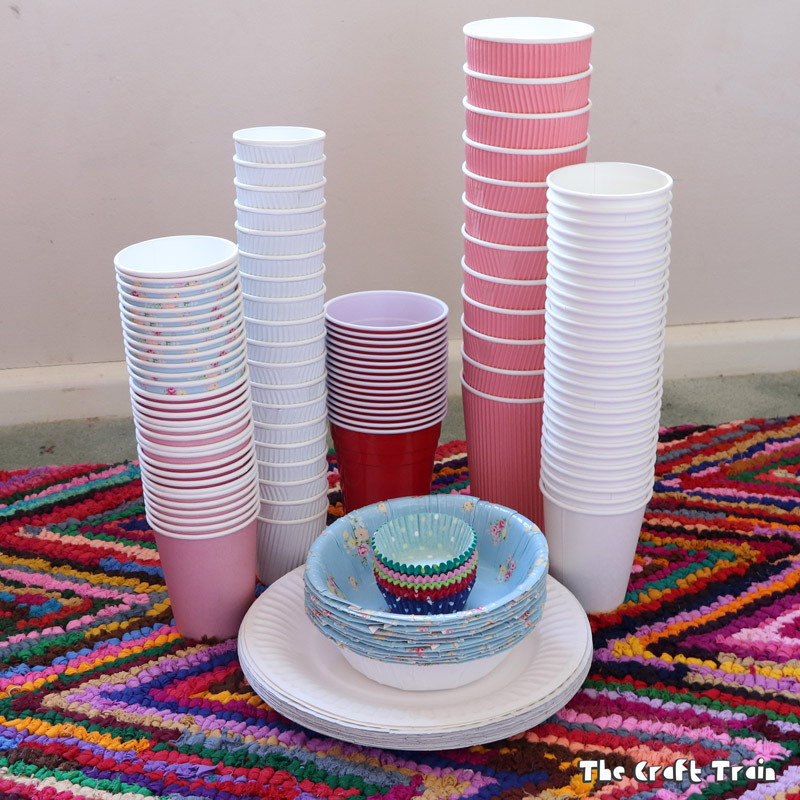 There were also some pretty floral paper bowls and cups I’d found on sale for only $1 each and but never used, plus paper bags, cake pop sticks (from a party a few years ago) and a few other bits and pieces. 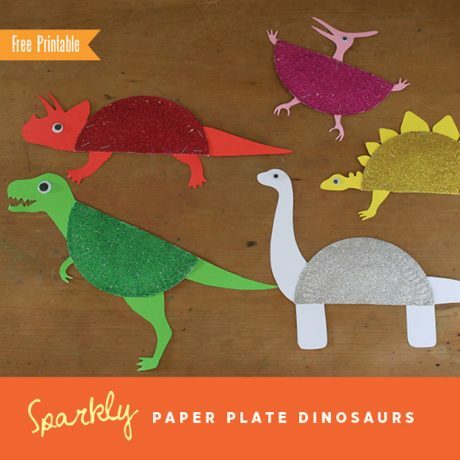 I’d imagined they’d design some cute little paper cup animals or something (that’s probably what I would do), but instead they used them in play. Once they made an elaborate sweet shop for pretend play. Another time miss K made a paper plate house, and then created a (working!) garage to go with it. Mostly though they used the box of things as a construction set and built tall towers and castles with them. Sometimes they would add cardboard tubes and egg cartons and design huge cities which encompassed the entire living room. 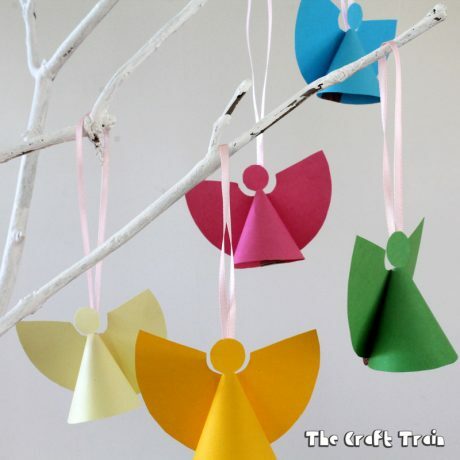 Sometimes they’d add flashing Christmas ornaments and other things that light up, and then switch out the lights. They made nothing I imagined, but they made so much more. 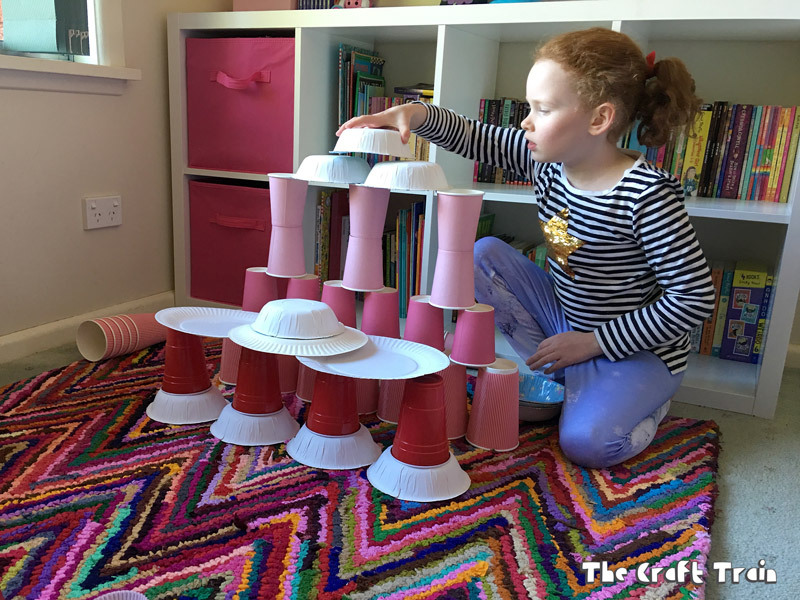 This paper cup and plate construction set is something that has evolved from our no rules craft box. 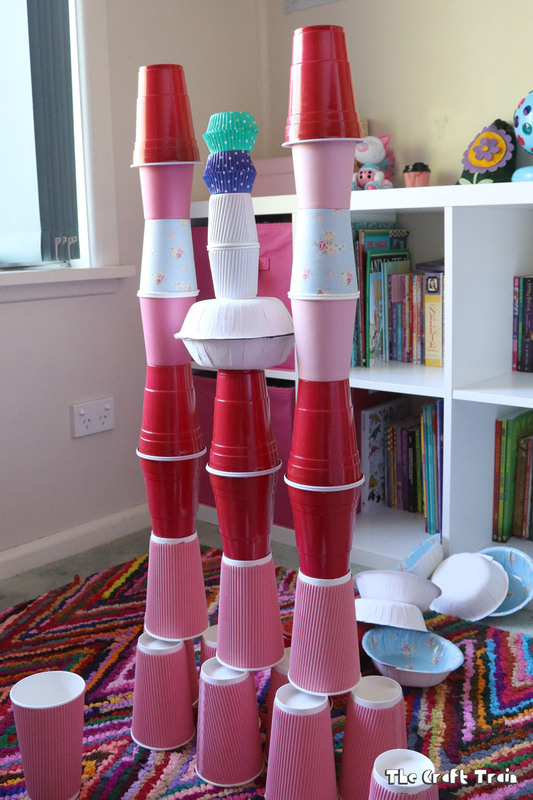 It’s a 100% kid made creation and idea – I had nothing to do with this one. Here is a video time lapse of Miss R building with her construction set. Do you like Miss R’s new colourful chevron rug? It’s a Chindi Trellis chevron rug from recycled mats and is made from recycled clothing if you can believe it. 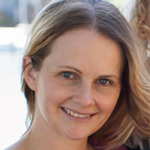 Miss R chose it herself from the website and loves it because of the rainbow colours and because it has a gorgeous texture which feels wonderful on bare feet. 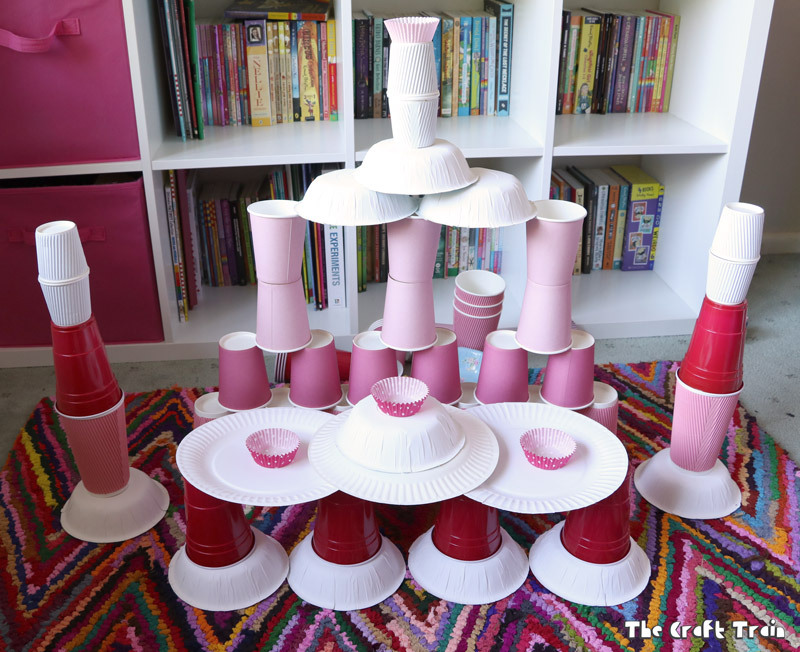 It also makes a great base for building paper cup and plate towers! These are the things we used in our construction set, but don’t let that limit you. You can add to it with different things, and you don’t need to use everything we used either. 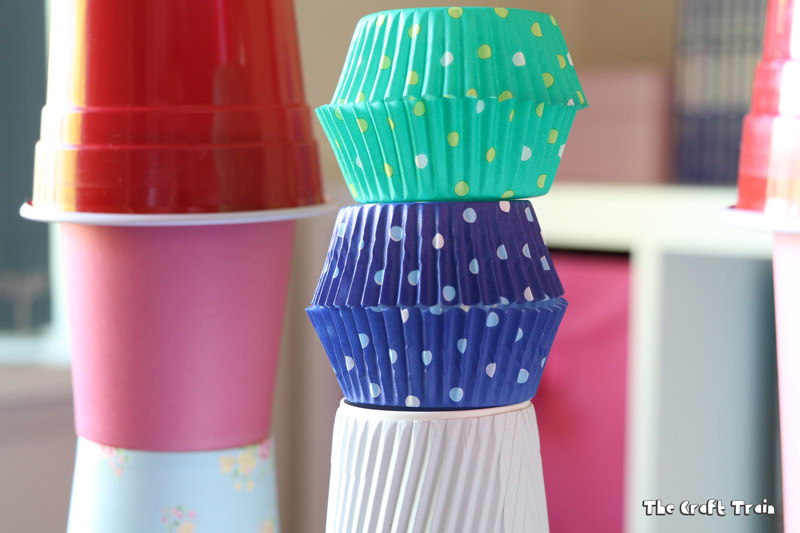 • paper cups in different sizes. We have the espresso size, regular size in different colours and textures, medium size and tall size. 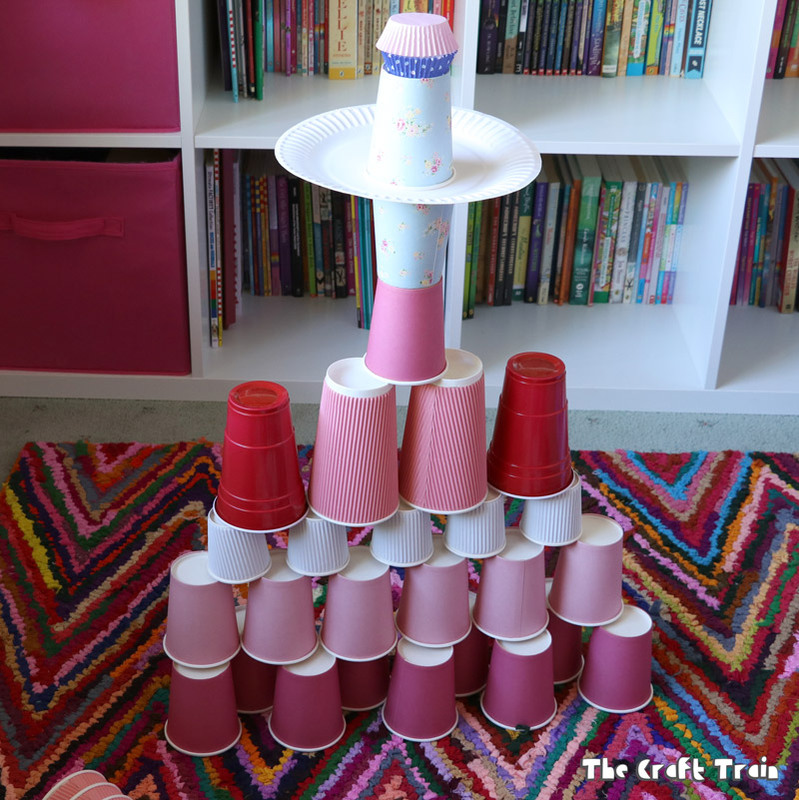 Having different colours of paper cups encourages patterning as well as building. 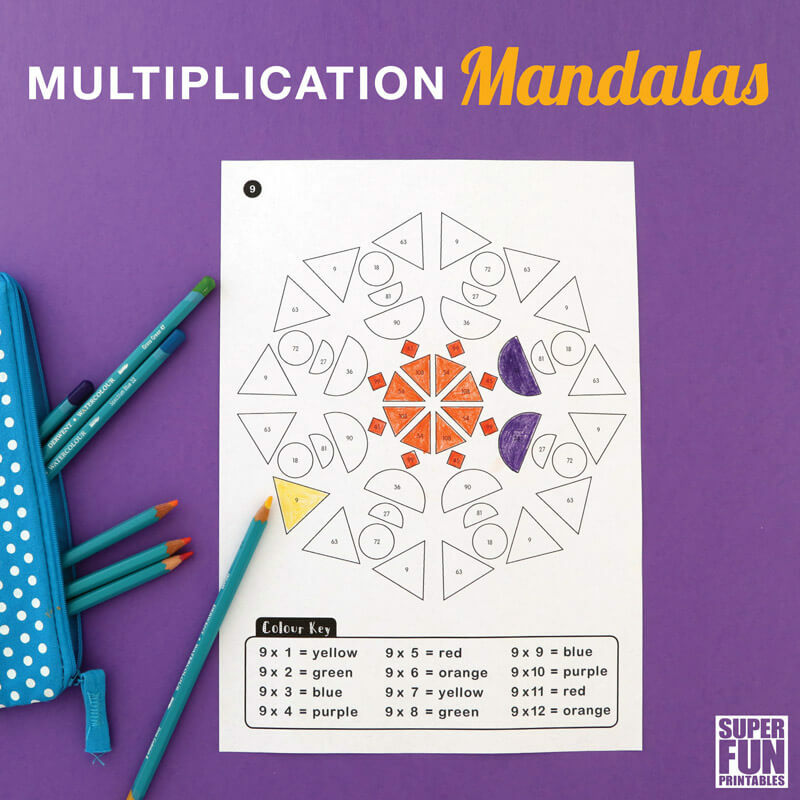 Place the items in a pile on the floor and build away! 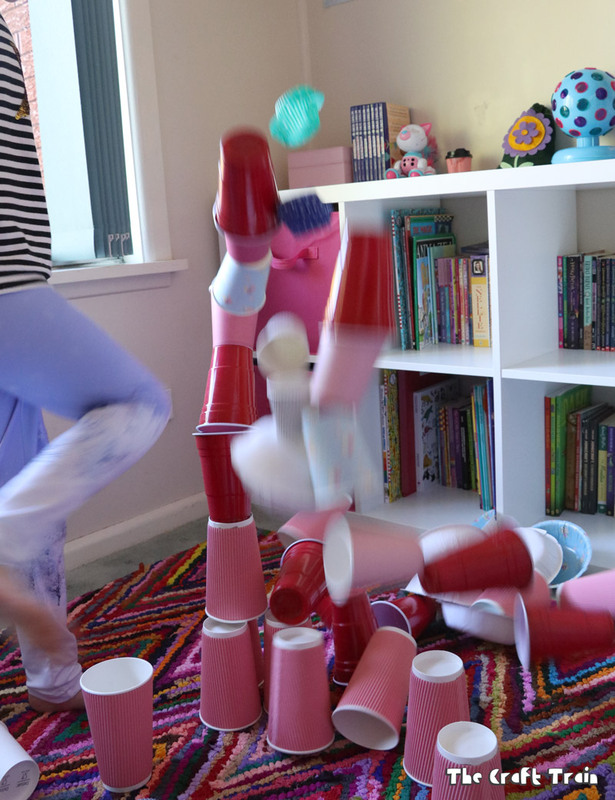 The towers are just as fun to knock down as they are to build. 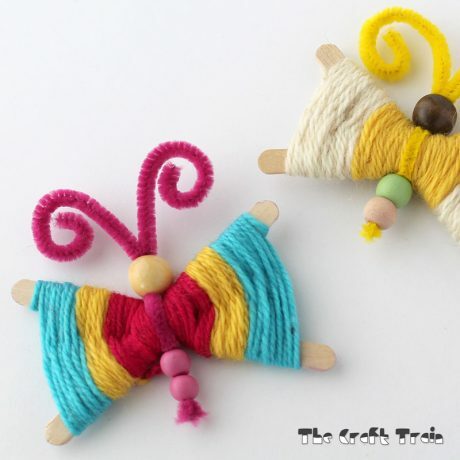 The girls love their no rules craft box, but they still nick all my crafting supplies! And the castle looks so gorgeous on that beautiful rug! What a great idea! And I love the idea of having a defined space for it too, so you don’t end up with everything strewn all over the house. Plus, who wouldn’t want to build on a beautiful rug like that! !